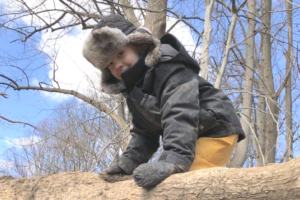 This 2-hour program offers an opportunity for a small group of two and three-year-olds to explore our nature sanctuary with their favorite adult and one of our nature school teachers. The class offers a balance of outdoor and indoor activities to give you a “preview” of our drop-off preschool classes. Classes meet every Friday, and each student attends class with a parent or caregiver. Applicants need to be 2 years of age by September 1. 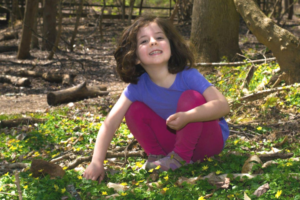 This 90-minute program is held entirely outdoors on sanctuary grounds and is designed to foster shared nature discovery for you and your children ages 4 & under. 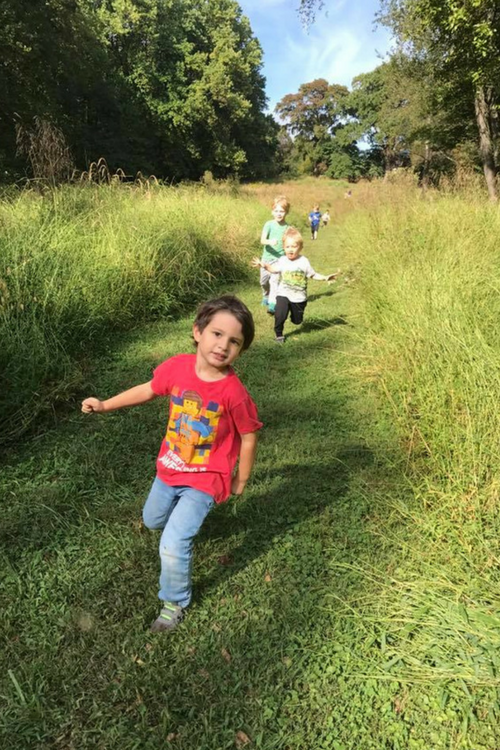 Classes meet every Thursday during the school year and take place entirely outdoors on our 40-acre nature sanctuary (or in our historic mansion in cases of inclement weather.) Younger siblings under 1 year of age are welcome to join at no additional cost. 50% sibling discounts are offered for families enrolling more than one child. At Audubon, our preschool offers a balanced mix of nature, nurture, and academic success. Our students learn kindness and cooperation, develop their imaginations, exercise curiosity, and build confidence, skills, and knowledge for the future and to protect our world.